It is with pleasure I can announce the Anglia Ruskin Judo Research group has a new PhD student. Glenn Miller completed his undergraduate degree in Sports Sciences at Anglia Ruskin University and has decided to stay and complete an MPhil/PhD with us. 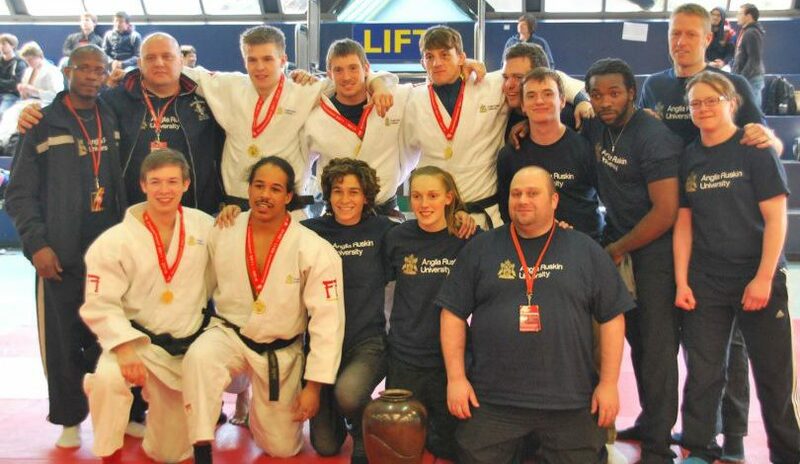 Glenn came to Anglia Ruskin from Ernest Bevin Phoenix Judo club in 2010 and competed on our winning men’s team in BUCS 2011. He is currently a 2nd dan. Illias Illiadis visits – Glenn Miller on the right as you look at the picture. 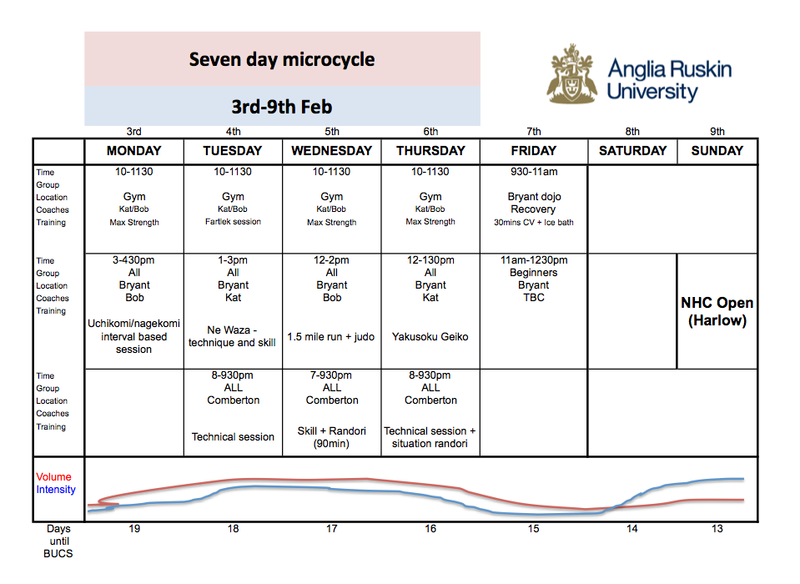 Glenn’s final year project for his undergraduate degree was “A Technical Analysis of the 2013 Junior and Senior British Championships” and this work has been summarised for publication and is currently being reviewed. His postgraduate research will follow a similar theme and will consider a technical analysis of British judo players and then compare them to their international rivals to consider where GB judoka can make performance gains. We now have three PhD students focussing on Judo research, the other two a me and Paul Robertson who is focussing on motor learning in judo. We also have 2-3 more hoping to sign up for judo related PhDs this year. 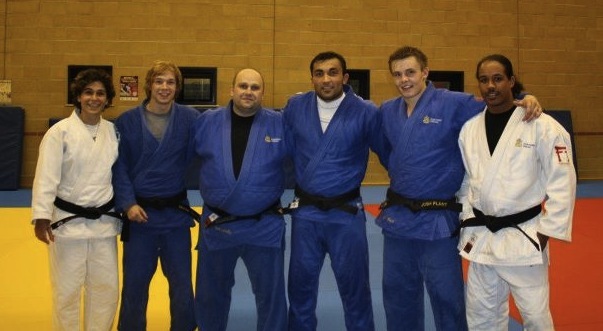 Our judo research group started in October 2012; if you would like more information on our judo research please visit http://www.anglia.ac.uk/judo.